I blame Sadhbh over on Where wishes come from, entirely. There I was a few days ago, writing up my linky. I was frantically typing away, looking back at links and reminiscing, all the writey bloggy things one does; and there Roz was, standing beside me, talking, fidgeting, pointing at the screen asking what this was and that was, and I started to explain to her what a blog link was. 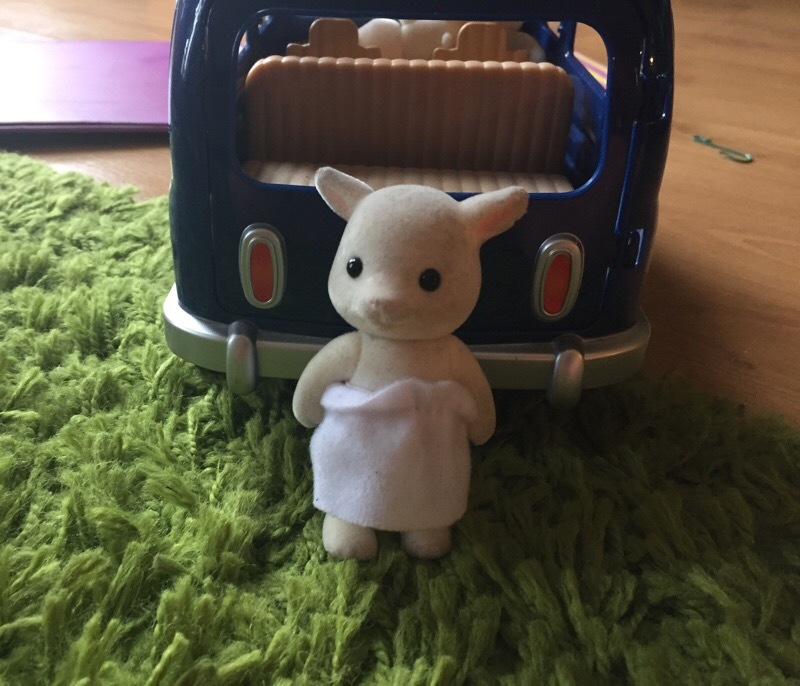 I clicked over to the Where wishes come from home page, and to the left, she saw an illustration of one of her all time favourite toys: Freya the chocolate bunny from the Sylvanian family range, waving at her. 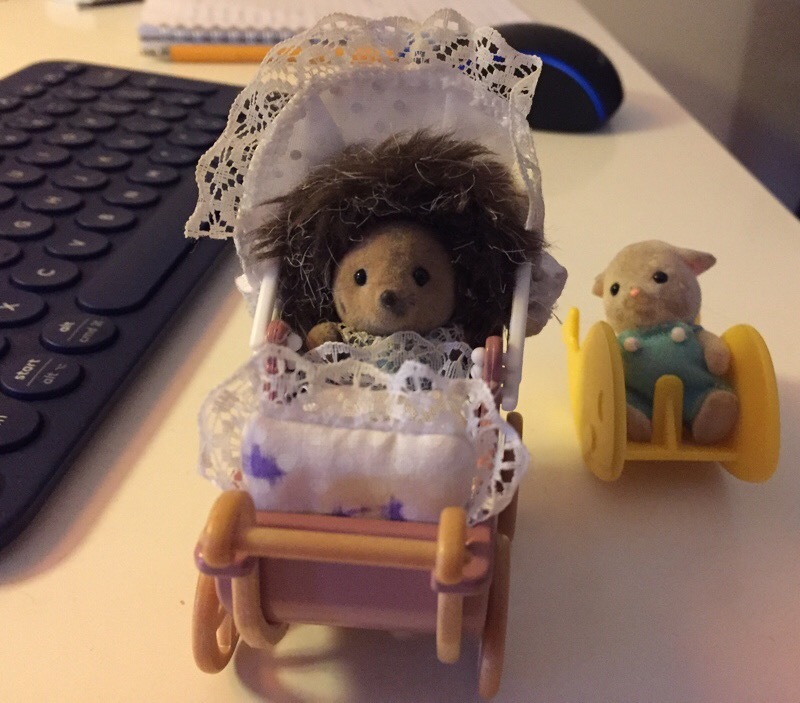 Questions came flying out about why I didn’t have the same on my website, which meant I had to explain what a friend of the sylvanian family was. She was intrigued, shocked, gobsmacked and various other synonyms, and asked could she be a friend of Sylvanian family? I said, well, maybe, I don’t know, probably? It’s a very fine tightrope you have to walk as a parent. Trying to instill hope, keep reality in check and not crush belief in oneself is surprisingly really hard and takes a lot of learning. She asked what could she do to get their attention, so I said we could start with her taking photographs of her sets, and I can tweet them. This will also mean I’ll fulfil one of my own new year resolutions to use twitter more often, and also to finally join instagram and see how that social platform works, now that I have something to post there. I’ve spoken before about how much she enjoys photography in And now for something totally different and how I played a very simple game with her most weekends that involves her taking photographs around the house in Sunday pictures, so this is going to be a great way to get her photographing again. The two of us talked a bit about how twitter works, what resolutions are, and how people like to make these at the start of the new year. How mummy was still thinking about and setting hers and how of course Roz could have one too. So the child has come up with her own resolution. 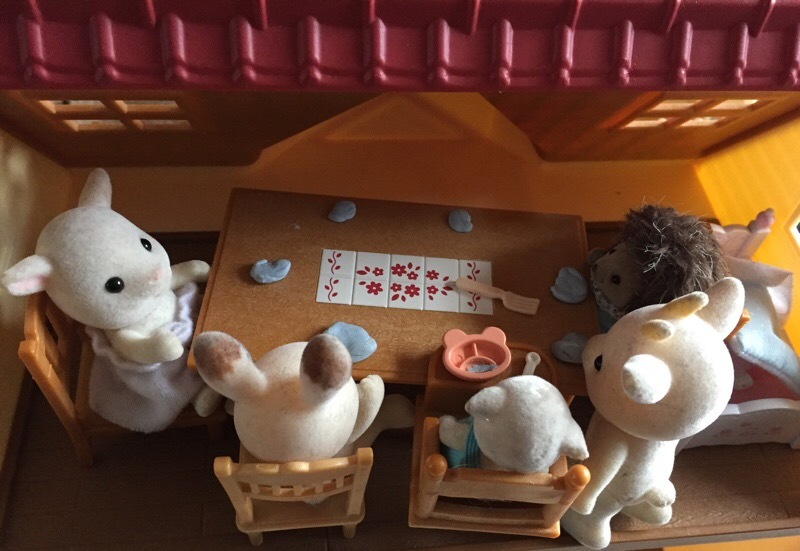 She plans on taking one photograph a day to tweet to sylvanian family until they take notice of her absolute devotion. In fairness, the cute little creatures and all the various accessories are one of her most played with toys, so it’s not like it’ll be a chore. This was her very first tweet and SF photograph. I’m actually looking forward to it. She’ll be using either her own little camera ( her Lumix died last year after a good three years in possession of a small child, not bad at all). 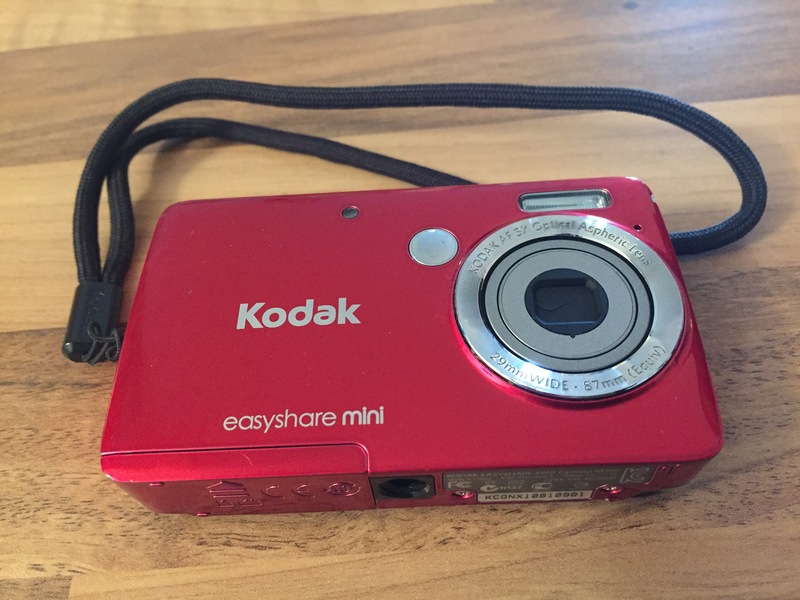 I gave her my little back up camera, the Kodak easyshare mini, which fits perfectly into her little hand. And if it’s convenient, she’ll be using my phone so that I can easily crop pictures. Taking a wander in the forest and tweeted this morning. It’ll mean I’ll learn how to edit pictures better, she’ll hone her photography skills, and we’ll both have a goal for the year. I think it’s a win-win situation. We’ve agreed on the hashtag RozOnAMission, and regardless of what comes of it, I think it’ll be a lovely little adventure for us both. Great job Roz!! Her photography is brilliant. They’d be lucky to have her on the Friends of Sylvanians team. Best of luck! Thanks Sadhbh. I’m really keeping my fingers crossed for her.